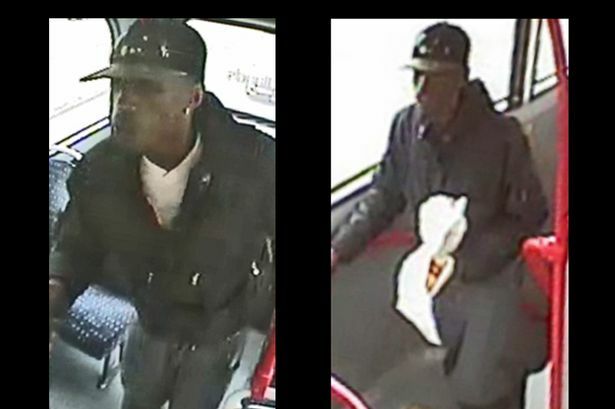 Police in Walsall have released images of a man they want to identify after a woman was sexually assaulted as she travelled on a bus. The assault took place on the number 51 bus on Sunday, May 11, at about 6.20pm as the bus pulled into Walsall town centre bus station. A 17-year old girl was sitting on the top deck of the bus, when she was approached by a man who put his arm around her and sexually assaulted her. He is described as a black man, late teens-early 20s, wearing a snapback-style black cap with a camouflage peak, jeans with white writing on the back pocket, and he had stud earrings in both ears. DC Lisa Gilbert from Walsall Public Protection Unit said: “The suspect got on the bus about 6pm eating a bag of chips and later approached 17-year-old girl as she sat upstairs. "The girl assaulted is quite distinctive as she has pink hair and I need to hear from anyone who saw the incident or anyone who recognises the offender shown in the image to contact police at Bloxwich on 101." Sub Saharan mannerisms caught on tape. Extra grubby too.